This company is a warranty repair depot for manufacturers of automotive test and diagnostic equipment. They have been in the Edmonton area since 1963. The current owners purchased the business in 2007 and have continued to grow and expand the operation. The company does warranty repair work for many name brand automotive equipment companies. Their focus is to restore and repair equipment such as A/C recovery units, battery chargers, multi-meters, wheel aligners, balancers, and other diagnostic equipment. 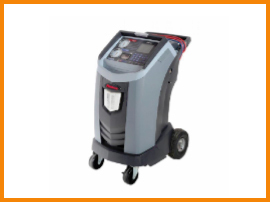 They have recently included generators and pressure washers to their warranty line up. Reason for Sale: Owners wish to retire. What is the cost of the lease? Available upon request.